SignEasy is a cloud-based e-signature platform that allows users to sign and send documents from anywhere, without printing anything. SignEasy integrates with multiple mobile applications to import and export documents. Users send documents for signature, and clients can review and approve digitally. With SignEasy, users can customize fields within a document and implement step-by-step guides to ensure viewers sign in the correct spots. Frequently used documents can be saved for reuse. 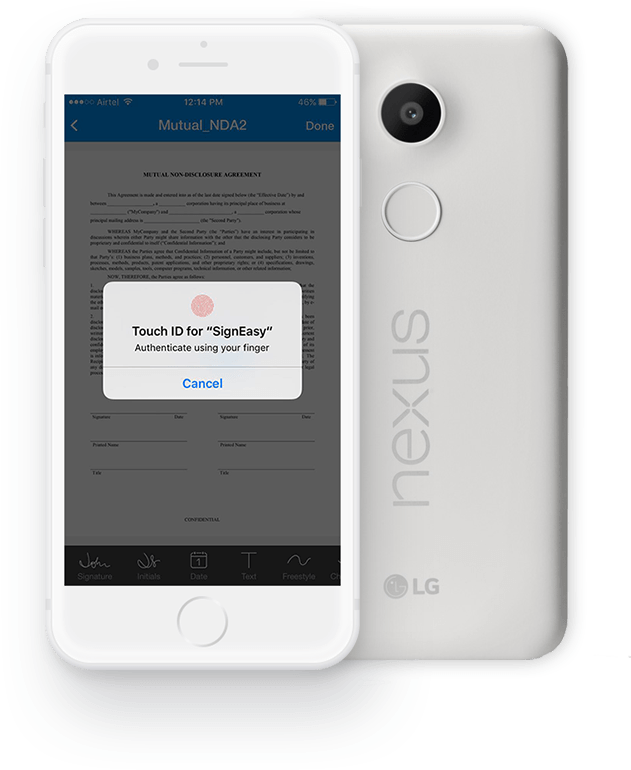 SignEasy offers self signing, in-person signing, and remote signing. Users can send documents to multiple people for signatures in a serial or parallel sequence. Enable documents to be signed one by one, in a specified order, or all at once. Users can check the status of a sent document in real-time and send reminders to users through email or push notifications. Users can import and export documents from email, cloud, or other applications. SignEasy integrates with many applications, including DropBox, Google Drive, Evernote, Box, ZOHO CRM, Gmail, and more. SignEasy works on any smartphone, tablet, or desktop browser. It also is accessible where there is no internet connection or 3G signal. SignEasy works in an industry that requires client or employee document review and signing, including legal, healthcare, real estate, human resources, and sales. Documents signed with SignEasy are ESIGN (US) and eIDAS (EU) compliant and as legally binding as handwritten signatures. Users can create a secure passcode or fingerprint authentication to ensure that documents are safe. Not sure if SignEasy is right for you? Use our Product Selection Tool to compare other e-signature solutions. Have questions? Call one of our unbiased Technology Advisors for a free consultation. Learn everything you need to know about SignEasy. Our experts will reach out to you shortly.